Maryland Landlord Tenant Law is provided by Title 8 of the Maryland Real Property Code. The landlord tenant laws of the State of Maryland set forth the statutes that governs the rights and responsibilities of landlord tenant relationships. Maryland Landlord Tenant Laws also provide the statutes which courts will use to decide any issues in a landlord tenant agreement. The information contained herein is not to be considered a substitute for the legal advice of an attorney. If you have questions regarding Maryland Landlord Tenant Law or believe that you have a legal case regarding landlord tenant laws in the State of Maryland, you should seek the advice of an attorney. Stay up to date on Maryland Landlord Tenant Laws + Save money on tenant screening and other property management needs. Join AAOA today, it’s FREE! A landlord may require tenants to pay a security deposit, however the security deposit must not exceed the amount of two months’ rent. Under Maryland Landlord Tenant Law § 8-203(1) (i), “The landlord shall maintain all security deposits in federally insured financial institutions,” that do business in the State of Maryland. The security deposit must also “be maintained in branches of the financial institutions which are located within the State and the accounts shall be devoted exclusively to security deposits and bear interest.” Deposits are deposited within 30 days of receipt from the tenant. Under Maryland Landlord Tenant Law, the tenant must receive a receipt for the security deposit, one of the many forms provided for in Maryland Landlord Forms, and the security deposit must be refunded within 45 days of the end of the tenancy. If a landlord fails to return any part of the security deposit at the end of 45 days, as well as accrued interest, without just cause, “the tenant has an action of up to threefold of the withheld amount, plus reasonable attorney’s fees.” A landlord can withhold a portion or all of the security deposit to cover fees for damages caused by the tenant, for unpaid rent or other breach of the lease under Maryland Landlord Tenant Laws. The tenant does have the right to be present at inspection of the property and to receive written notice if any portion of the security deposit is retained, and the reason(s) why. It is important for the parties to understand that only costs for actual damages and not “ordinary wear and tear” are considered when determining damages. (iii) Terminate a periodic tenancy. The landlord is also prohibited from taking any retaliatory action against a tenant who “has provided written or actual notice of a good faith complaint about an alleged violation of the lease, violation of law, or condition on the leased premises that is a substantial threat to the health or safety of occupants…” to the landlord or to any public agency against the landlord when the tenant has participated in any tenant association, has filed a lawsuit against the landlord or has participated in or otherwise testified in any court case against a landlord of any property under Maryland Landlord Tenant Law. If a tenant brings about proceedings alleging that the landlord is taking retaliatory action for the tenant’s legal exercise of their rights under Maryland Landlord Tenant Law and the court find in favor of the tenant, the court may “enter judgment against the landlord for damages not to exceed the equivalent of 3 months’ rent, reasonable attorney fees, and court costs..” If however, the court finds that the tenant asserted in bad faith that the landlord acted in a retaliatory manner, the court may enter judgment against the tenant for damages not to exceed the equivalent of 3 months’ rent, reasonable attorney fees, and court costs. When you are a landlord it is imperative that you conduct thorough Maryland Tenant Screening and that you always have proper Maryland Landlord Forms in your possession. When you utilize professionally-prepared forms, you are saving yourself from the problems that could potentially arise later if you use your own drawn up vague forms. You can also possibly save the cost of an attorney when you trust in the American Apartment Owners Association to provide everything you need for screening rental applicants and for all your landlord forms, needed in all your landlord tenant relationships. A key component of landlord tenant laws is also Maryland Tenant Screening Background Checks. We’ve dedicated an entire page to it because of its importance. Visit Maryland Tenant Screening Background Checks to screen your tenant. All states require a variety of forms to rent an apartment to a tenant and Maryland is no exception. Check out American Apartment Owners Association’s Maryland Landlord Forms now. 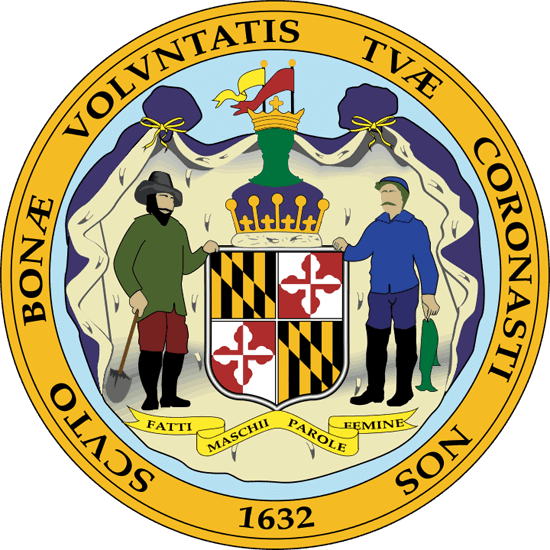 Looking for landlord tenant laws outside of Maryland? The American Apartment Owners Association offers helpful landlord tenant laws for all 50 states. Click on any of the states listed below and go directly to its landlord tenant law page. To visit the homepage of landlord tenant laws, click here.